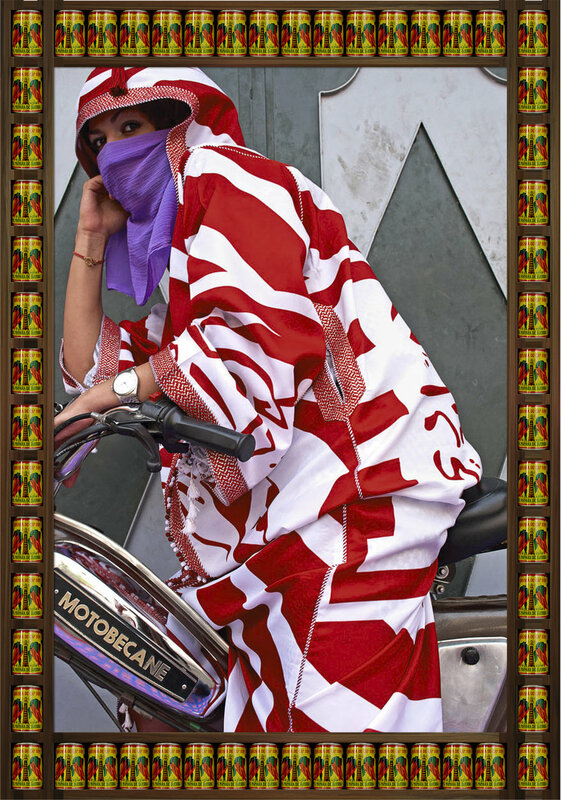 Hassan Hajjaj's photographs are overflowing with dualities, a result of a blending of Moroccan and British culture that has given him and his work a distinct, multicultural identity. Born in 1961 in Larache, Morocco, Hajajj moved to London in 1975 at the age of thirteen. Thousands of Moroccans had immigrated to Western Europe throughout the French occupation of the country in the first half of the twentieth century. Yet it was during the 1960s and 1970s, following the breakdown of French colonialism in Morocco in 1956, that Moroccan emigration dramatically increased due the expanding need for low-skilled laborers in the newly revived capitalist economies of Europe. For Hajjaj, identity is not rooted in location. Particularity of place has been rendered irrelevant in our modern, globalized, post-colonial world. This does not mean, however, that the impact of colonialism is not still present in formerly-colonized nations or in Hajjaj's photographs for that matter. Hajjaj's images play into and subvert stereotypical notions of the Arab world, particularly of Arab women. They take the traditional, Orientalizing gaze of the Western artistic canon and turn it against itself, creating instead images that gaze back with a reclaimed sense of power and identity; the epitome of the globalized, post-colonial point of view. What Hajjaj presents us with is not dichotomy, but synthesis. Two familiar worlds are transformed into a single new one. Hajjaj's influences stretch from fashion photography and advertizing to hip-hop style and North African culture. Most significant, his works emphasize the amalgamation of the cultures of the colonizers and the colonized within a system of institutional inequality, one that in many ways continued to exist more subtly even after the colonial era. In this way, Hajjaj's photographs, truly his artistic vision as a whole, represent the breakdown of colonialism and the reclamation of both indigenous and non-native culture under the influence of consumerism. Each of his photographs is a conversation across cultures, a mix of Warhol-esque pop expressionism and repetitive Islamic geometry. Within each image is an equal emphasis on both traditional North African street culture and Western consumer culture. The subjects of his photographs wear his original designs, veils and robes called djellabahs in polka dots or adorned with Nike swooshes and Louis Vuitton logos. The photographs are often framed with cans of soda, tomato paste, and other product packaging, as if the modern world is encircled by products to be bought and sold, transported and translated. Despite the sometimes overwhelming presence of recognizable brands, commodities, andstereotypical imagery, Hajjaj's subjects never lose their sense of agency and singularity. The stress Hajjaj puts on the collective world only seems to punctuate the individuality of the subjects of his photographs. This proves especially true of his female subjects. They are shown as strong and independent, a stark contrast to the traditional stereotype of an Arab, Muslim woman as neither seen nor heard. 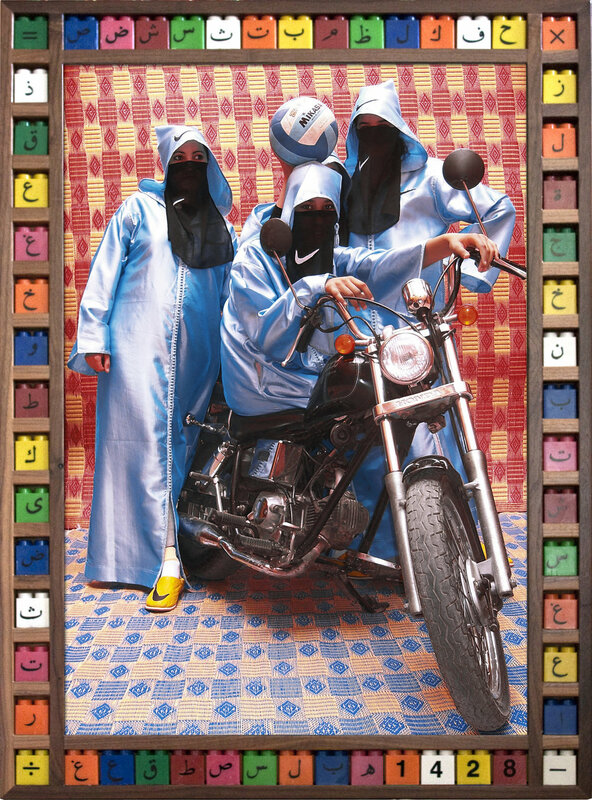 Kesh Angels, the title image of his latest series of Moroccan women posing on motorcycles, shows women in brightly-colored dress and heart-shaped sunglasses confidently posing on motorcycles. Not only is their confidence shown as an extension of their female identity, this strong, female identity is presented as inseparable from their Arab, Muslim identity. These women defy nothing and everything in a single image. This synthesis of cultures expressed in Hajjaj's photographs can be said to be possible only within the post-colonial world. His work is a product of his ties to both Morocco and Britain, yet it speaks of a truth that is present in neither locale. The diasporic voice is not a aggregation of multiple voices, but a new voice entirely. Like each aspect of Hajjaj's photographs, this identity is completely hand-crafted. 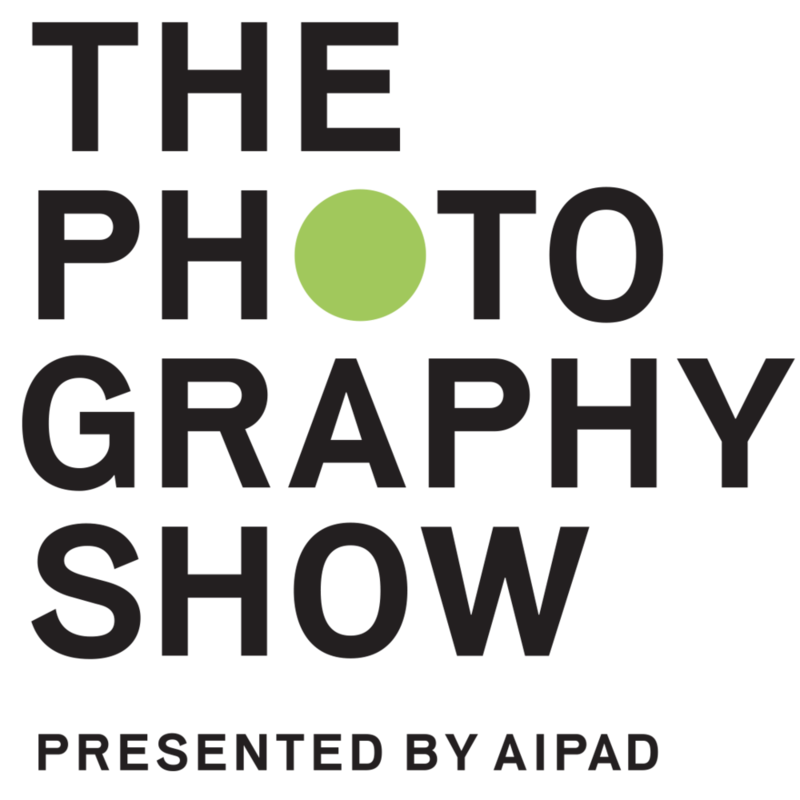 Though they are produced using familiar elements, each photographic iteration is a unique document of a global experience.